MARCH 2017: THE ELITE SET IS BACK IN WHITE AND NATURAL LINEN! THE ONLY TOWELS NOW MADE IN AMERICA! 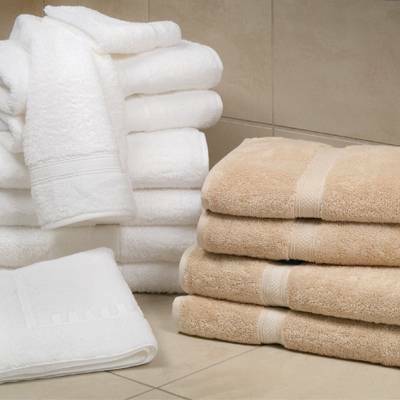 Since 2012 , our 1888 Mills towels/ towel sets have been our runaway best seller. And for good reason: the quality is outstanding, they are attractive and incredibly durable. And feel oh so good when you dry off. These are the only towels still made in the USA. And they can be yours. All towels are available separately and we have also put together two different complete sets, the 8 piece Elite set (which you see here) and the 7 piece Deluxe set. Two colors available: Natural Linen and White. Flat Rate shipping does not apply to this item. You will never pay more than we pay for shipping though. Please call Strictly USA first for more information or with questions. *bath mat is NOT the carpeted type with the non-slip rubber backing that you may be used to seeing--it's similar to a heavy duty towel (see picture), but still exactly matches set. TRY THIS: I put the Magnificence bath mat right on top of an older rug style bath mat. That way you still get the cushion and grip with the wonderful American made mat on top. Hey, it works. 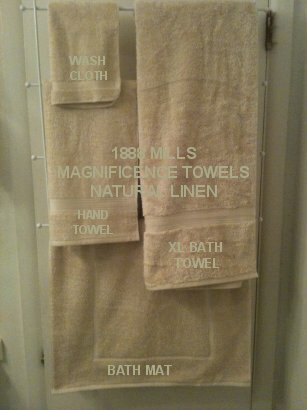 I purchased the full set of Magnificence Towels, linen color and love them. They are soft and very absorbent. The dry quickly too. I bought the set so I could keep one set for my guest room, and one set for me. That has worked out perfect. 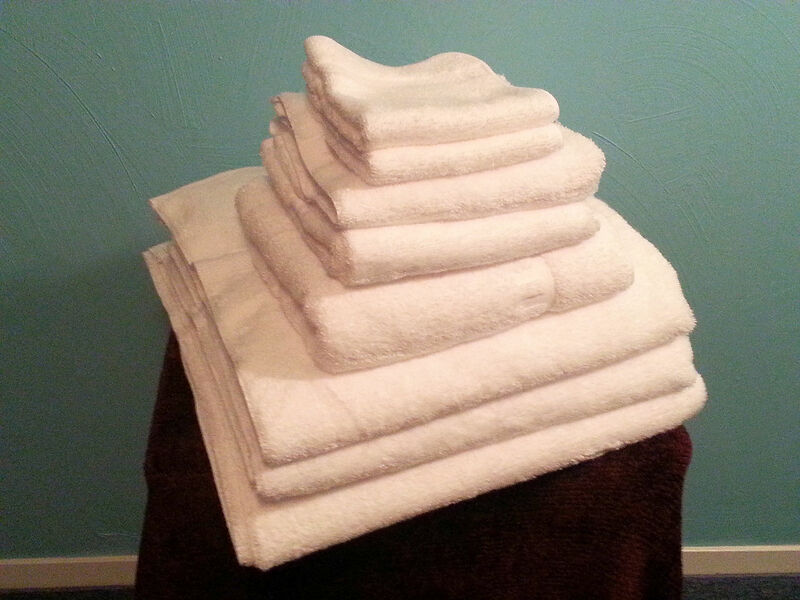 I plan to replace all my towels with these from now on. Received the order in a timely manner and have enjoyed the towels as expected. Introduced to the towels while on vacation in Canada. Came home and ordered our own set! 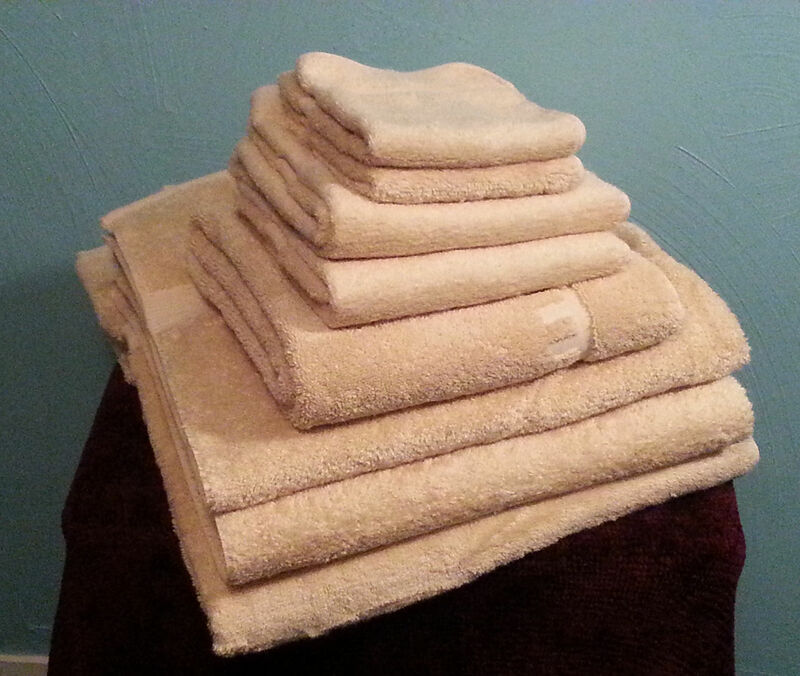 These towels are so soft, plush and absorbent! Plus, they do not shed. I am very happy with my purchase. I would buy these towels again and will whenever I need more towels. Made in the USA is a nice bonus.